These incidents are happening more frequently in public places, schools, churches and work environments. So how do you increase the odds of surviving? The active shooter phenomenon of recent years continues to grow and morphs frequently into new dimensions. 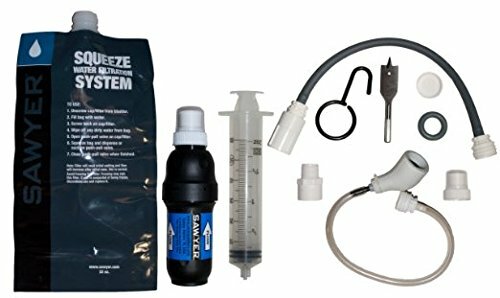 Many preppers think in terms of SHTF scenarios leading the The End of The World As We Know It (TEOTWAWKI) without giving close attention to the immediate perils we all face on a daily basis. If you ever get caught up in an active shooter situation, you will definitely know the true meaning of SHTF. Psychologists, criminologists, and government officials continue to delve deeply into the reasons this is happening, but that is not the purpose of this article. Personally I could care less about the terrible childhood, over drug addiction (often prescribed), terrorist leanings due to sudden religious conversion or other “reasons” some nut case has for trying to murder me and the group of people I happen to be with. What I care about is staying alive and so should you. Lets take a quick look at some of the more famous cases and the environments they happened in. Columbine (A high school) Certainly not the first serious active shooter incident but one that caught the public’s attention seriously. 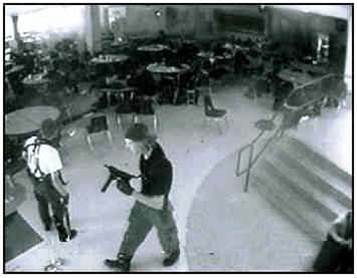 April 20, 1999: (Adolph Hitler’s birthday) Two students , Eric Harris,18, and Dylan Klebold,17 killed 12 other students, and a teacher, before committing suicide at the Columbine High School in Littleton, Colorado. “Columbine” has become the hallmark of many later copy-cat Active Shooters. Virginia Tech (A University) April 16, 2007: Seung-Hui Cho, 23, opened fire inside a Virginia Tech dormitory ,then two hours later in a classroom. By the time the incident was over a total of 32 people had been killed in what has been classified as the most lethal Active Shooter Incident in American history up to then. Sandy Hook (A grade school)December 14, 2012 . 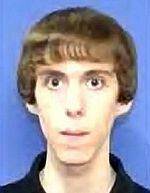 After murdering his mother and stealing her guns, Adam Lanza, 20, walked into Sandy Hook Grade School in Newtown Connecticut and murdered six adult staff and 20 grade school children ages 6 and 7, before killing himself. Lanza used a .223 cal. Bushmaster rifle and a Glock handgun. 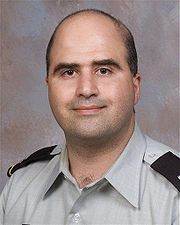 Ft Hood Texas (A military installation) November 6, 2009: Maj. Nidal Hasan, 39, a U.S. Army psychiatrist opened fire at a Ft. Hood Texas Soldier Readiness Center killing 13 and wounding 31. The soldiers inside the center were unarmed and attempted to stop Hasan by throwing chairs and charging him. He was finally stopped by a female civilian police officer who was able to seriously wound him despite being shot several times herself. There have been many more more recent incidents but these highly publicized ones indicate that there is absolutely nowhere that you could expect an active shooter NOT to show up. It happens in schools, churches, parking lots, military bases, anywhere large crowds or groups of specific workers are. So short of barricading yourself in your home, quitting your job, dropping out of school and becoming a Howard Hughes clone, how do you protect yourself or at least increase your odds of surviving an active shooter incident? Can this happen to me? The mathematical odds of you being involved in an active shooter situation are a lot less than that of other nasty things that happen to people like fatal car crashes or slipping in the tub and breaking your neck. But there is no doubt in my mind that the last thought of many of the poor victims of the atrocities mentioned above were “This can’t be happening to me”. Unfortunately it was happening to them and yes it can happen to you! There is no such thing as a perfect plan or perfect security. Survival is a matter of stacking the odds in your favor as much as possible, then playing the cards you are dealt. So what can your do? This takes practice to learn to live in condition yellow, but if you make the effort it puts you way ahead of the majority of people around you who live in condition white. White is being totally oblivious to your surroundings or what is going on. It is the state of mind that pilots refer to as “Fat, Dumb, and Happy” and usually occurs right before flying into the side of a mountain. A number of other things will contribute to your survival like staying healthy and good shape. Many professionals disagree with me, but I am convinced that the best response to an armed attack is usually an immediate armed response. If you live in an area that allows armed carry, then get professional training and go armed if you can. This is not always possible though, and an armed response may not always be the best response depending on the situation. For an explanation of why, read this article. 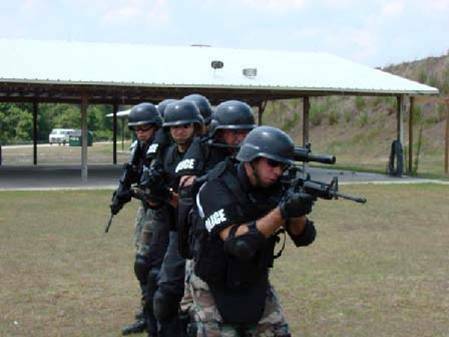 So what if you are caught in an active shooter situation and you are unarmed what can you do? • Close and lock doors and windows. • Turn off the lights, cell phone and computer monitors. • Don’t answer the door or respond to commands until you are sure it is the police. • Try to move to a safe area away from the danger and take protective cover. • Exit the building if possible. • Get into a room and secure it. • Unless you are very close to an exit, do not run down a corridor. Running in a straight line makes you an easy target. • Lay flat on the ground. • Start looking for cover to run to. • Run to the nearest cover in a zigzag when it is safe. If the shooter is in near proximity, you can hide, run, play dead, or attack the shooter. Lets look at these options individually. • Preferably a room you can secure. • Lock doors and windows. • If door wont lock, barricade with furniture. • Pull curtains or shades down. • Turn off lights, cell phone, and computer monitors. • Are you in shape? • Are you disabled or wounded? • What about those with you? Run laterally to the shooter. If there is no distance between you and shooter and no cover/concealment, play dead. Your body position must look dead. 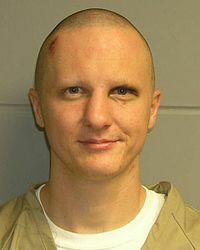 Might not work: VA Tech shooter returned to classrooms and killed survivors who were still alive. • If you must rush him from the front, throw anything at his face: keys, shoes, lamps, chairs ect. to invoke his flinch response. • When he is trying to reload is a best chance. • Once committed, BE VICIOUS! Don’t stop until he is out of commission. • The more people who rush him, the better the odds. My LE friends tell me that Columbine changed the dynamics of how most police departments handle these situations. Prior to that, the standard procedure was for the first responding Officers to secure the perimeter and wait for the SWAT team. No more. I understand that the policy now is for the first Officers on site to get in and deal with it. So what does this mean to you? Do not yell or make loud noises. Do NOT point anything at them. If you are armed, place your weapon on the ground! Hands up, empty, and fingers spread. Obey their orders. They will evacuate people in an orderly fashion. Please understand that the responding Police Officers are NOT going to stop and give aid to the wounded. They are there to stop the carnage immediately, and the wounded are going to have to wait for responding EMT. Also, do not run towards them wanting to hug them in gratitude. They do not know who you are and may believe you are attacking them and respond accordingly. And even if the don’t, they are there to stop a carnage and do not need teary eyed civilians trying to do the huggy-kissy thing. Be still and obey their orders. God forbid you ever have to go through something like this, but if you do please understand it won’t be over for you as soon as the shooting stops. • Recognize that you just went through a serious trauma similar to combat. • Effects of PTSD include physical, emotional and cognitive reactions. • Physical: Headaches, sleep disturbances, change in eating habits, ect. • Emotional: anxiety, fear, anger, sadness, withdrawal. Recognize that you just went through a serious ordeal. Don’t be in denial. Men especially try to “macho” it out. Between 4-10% of those suffering a traumatic incident will develop PTSD much later unless treated early. Seek help within 48 hrs: Professional counseling, clergy, family. Many books have been written about active shooter survival and I did a review of a good one here. If you liked this article, please click the “Vote for Me” button at the top right. I think it was bad. You think WHAT was bad? Three thoughs occur to me. 1. School / establishment lock downs. They simply keep everyone in the same building with a madman. You need training to react. Currently the general theory is to hunker down and hope. What should happen is escape of you can, fight if you must. 3. All hail the anti gun lobby. Who’s insanity has disarmed the law abiding and reduced whole swathes of the population to reactive targets for the bad guys to practice on. You are correct on all three accounts! Our legal system is different here and many localities are allowing trained teachers to be armed. As I stated, I firmly believe that the best response is an armed response most of the time. I feel for you folks in the UK with your drastic gun laws. The two years I spent doing contract security in Kabul we had a large number of Brits on our team. I was able to buy original British 1853 Enfield muskets and Martini rifles and send them home. They were not.